Why do I use Rashad Khalifa's translation of the Noble Quran on the site? Rashad Khalifa is a dajjal (liar) who claimed to be a messenger from GOD Almighty. 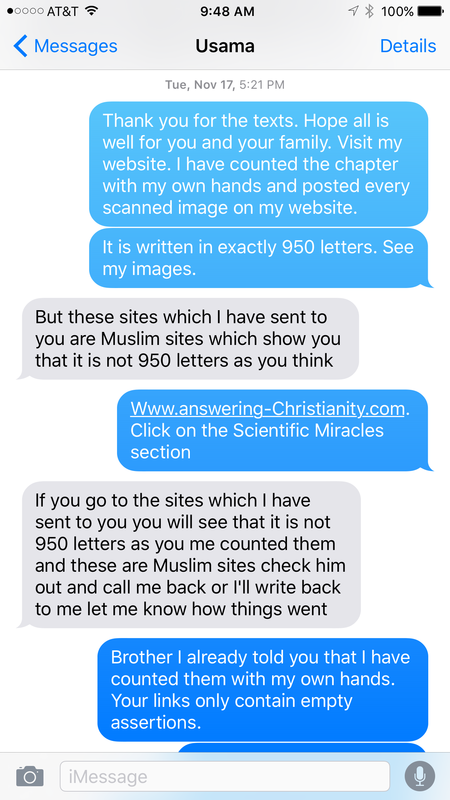 He is a false prophet and we have refuted him in great details on this site, by Allah Almighty's Grace and Will, at: http://www.answering-christianity.com/rk_cult_exposed.htm. 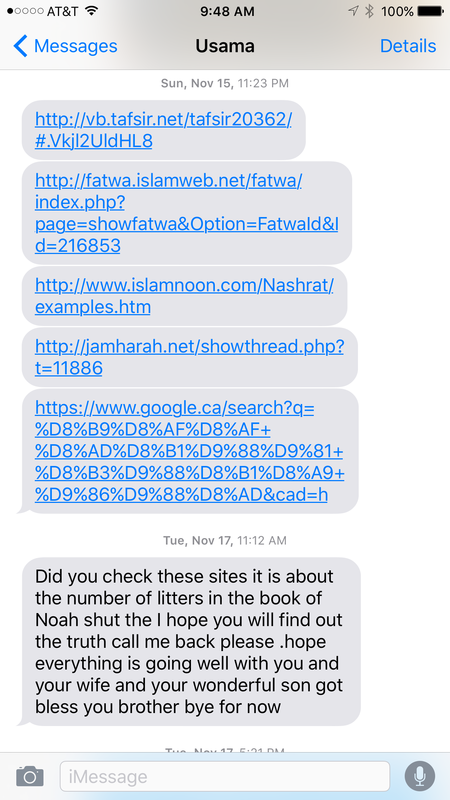 So why am I still using his translation of the Noble Quran on the site? The following points are the reason. 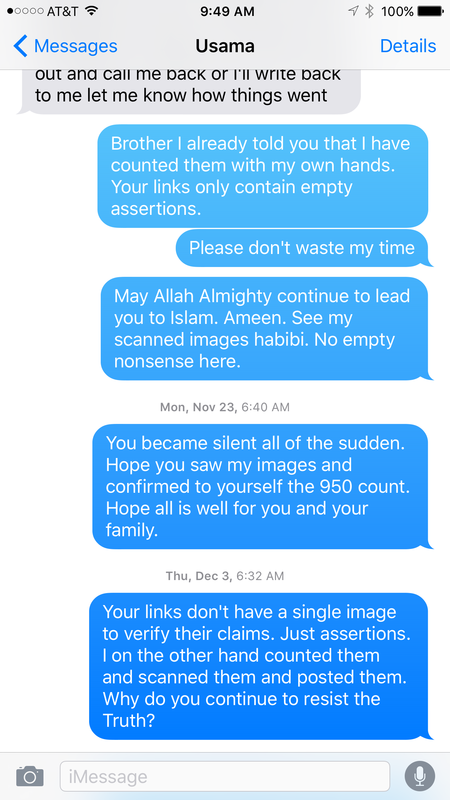 Please know that I added the two Noble Verses that he removed, and I removed his name that he added to several Noble Verses. So his Quran-translation file on my website is different. If the Noble Quran says the earth is "egg-shaped" through a Notion, then why couldn't Prophet Muhammad just say it clear in plain Arabic? (Detailed proofs demonstrating the miracle of the Word/Notion "dahaha"). The Noble Quran confirms that the earth is rotating around its axle. Allah Almighty said that the earth is "egg-shaped". The reduction of earth's size in both the Noble Quran and Science! The Earth is round according to Islam. Faults on earth in the Noble Quran and Science! 2- He also was the only one who accurately translated Noble Verse 55:37. 3- He also accurately translated Noble Verse 16:66. 4- He also accurately translated Noble Verse 39:6. Were cloning, human-cloning, and gender alteration prophesied in Islam? 3- Will command the evil ones. 4- They will cut the animals' ears. 5- Then proceed to alter the creation of GOD Almighty. (5) and I will command them ولامرنهم to alter the creation of God فليغيرن خلق الله ." Idol worship is of course a sin in Islam, but notice in this particular promise of satan to alter Allah Almighty's creations does not include idol worship here. Iblis, who was mighty and powerful, became very angry from Allah Almighty for having Allah Almighty Command all Beings in the World of Command to bow to the new flesh and blood creation, Adam, peace be upon him and upon all of GOD Almighty's pious creations. So satan (Iblis) promised Allah Almighty to have these humans, whom Allah was so proud of, to alter Allah Almighty's creations to prove to Allah that this new flesh and blood creation of His is nothing. Slitting of animal ears alone do not alter the creation of Allah Almighty, nor does it alter the creation of the slit animal either. These is no alteration in creation in just slitting ears. Besides, humans are known to eat animals anyway. And the Noble Verse is not talking about animal or idol worship here. It is only talking about having the creations of Allah Almighty being altered by humans after the slitting of animals' ears. Satan's big battle with GOD Almighty is to cause so much evil, among them is to "cut the cattle's ears and to alter the creation of Allah" (4:119), i.e., cloning (as this is how it began today) . Transgenders also began after Dolly the sheep's cloning. LGBT (lesbian, gay, bisexual, and transgender) are covered below in this article. Today they're even researching making males get pregnant, or at least plant fertilized female eggs inside them and grow the fetuses into babies. Ample more quotes are below in this article. Evidence that Allah Almighty created the People of Adam through Cloning in the Glorious Quran. (html backup). Cloning is mentioned in multiple places in the Glorious Quran , and is one of the End of Times Prophecies as well. Cloning is definitely NOT a foreign concept in the Glorious Quran. The Overwhelming Numerical and Scientific Miracles in the Glorious Quran. The Quran's and Islam's Amazing Prophecies. 5- He is the only one who got the translation of سمكها (its mass) right in Noble Verse 79:28. 6- He got planets translated correctly in Noble Verse 12:4. 7- Our anti-Islamic rivals who have Noble Quran search engines on their sites use him, and his translation is actually very popular among the Muslims on the internet. So if I ignore him, I am afraid that I would leave an advantage for our anti-Islamic rivals which would cause some Muslims to use them. So the bottom line is that I am minimizing the damage as much as possible. 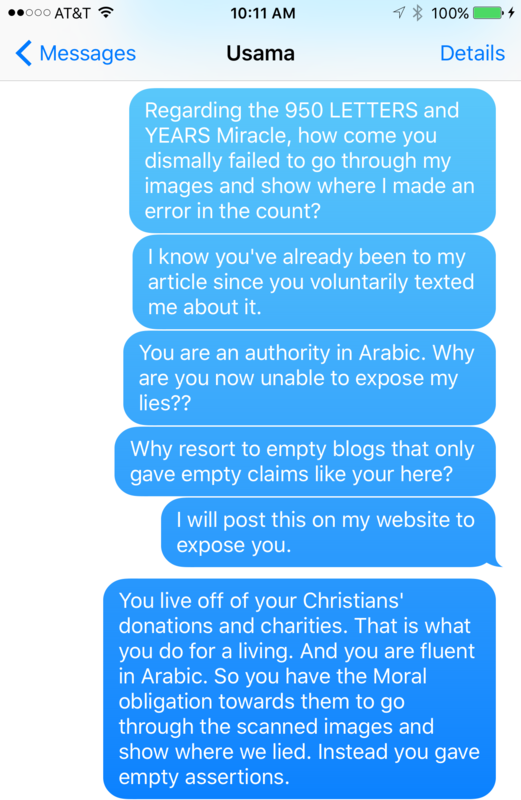 Should I not use his translation and not take advantage of his good translation and allow Muslims to use him somewhere else (in the infidels' sites)? Or, should I take him in and let the enemies of Islam out there be sanctioned from all directions? I chose the second option for the betterment of Islam. I also want to mention that the Noble Verses that he twisted and added his personal name to in parenthesis, to falsely demonstrate that they are prophesying and talking about him, had been fixed by me.